What is storm water, when is it a problem and what are the effects of storm water runoff in our Watershed? Healthy and environmentally friendly ways to care for your lawn and watershed. Educating the public on our impact on Lake Erie. A healthy water educational brochure. Helpful tips on how you can protect Lake Erie with this money saving environmentally friendly advice. Dumping anything other than water down the storm drain or in the creek isn't just a bad idea- it's illegal. Conservation practices installed through GLRI improve and protect the waters of the Great Lakes Basin for the benefit of residents and citizens of the United States and Canada. When it rains, it drains. There are many things that you and your community can do to keep your watershed healthy and productive. 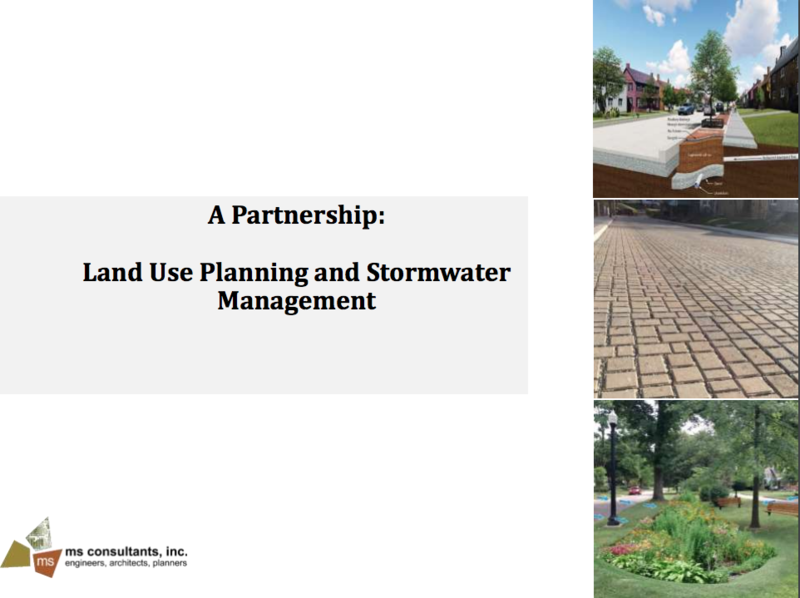 On January 28, 2016 the Lorain County Storm Water Management District held a training to help contractors comply with Erosion and Sediment Control Rules within the unincorporated areas of the County. The presentation was provided by Caroline Cicerchi of the Lorain County Soil and Water Conservation District. To dispose of prescription and over-the-counter drugs, call your City or County government’s household trash and recycling service and ask if a Prescription/Drug Take-Back Program is available in your community. OSU Extension protects Ohio's natural environment by working with landowners in managing woodlands and preserving streams and water resources. the ground and out of storm water. On Tues., Oct. 23, 2012 from 8:30 am - 3:30 pm, the NE ODOT Office will host a workshop to overview Ohio EPA requirements for pollution prevention and steps to develop a municipal good housekeeping program. Conservation Education Specialist, Amy Roskilly talks all about storm water pollution and just how easy it is to help prevent the pollution from home. The NPDES Permitting program offers training courses, workshops, and webcasts to explain the regulatory framework and technical considerations of the NPDES Permit program. These courses are designed for permit writers, dischargers, EPA officials, and other interested parties. 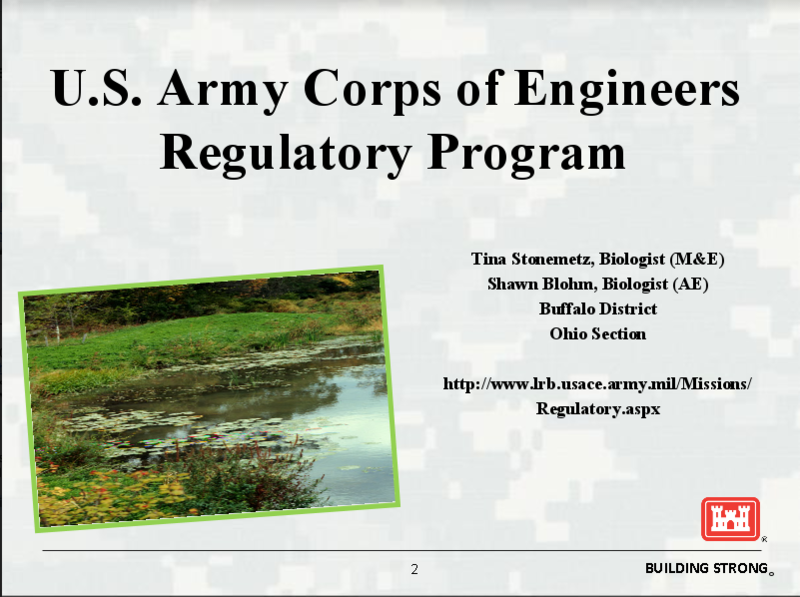 US Army Corps of Engineers- Presentation at Lorain County Storm Water 3rd Annual Meeting. Updates on Nation Wide Permitting and USACE Responsibilities.